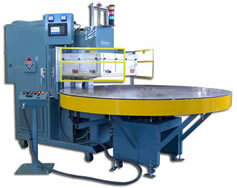 New and Used RF Welding & Packaging Equipment Sales, Rental, Parts / RF Tooling & Dies. 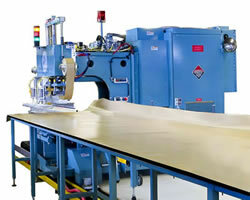 Service for Packaging, Automotive, Medical, Marine, and Industrial Applications. Some Of Our Core Services. WE CAN DESIGN AND BUILD COMPLETE ASSEMBLY TOOLING SYSTEMS. We have a HUGE inventory of RF Heat Sealing / Welding Machine Parts! We stock many parts for a variety of machines. Chokes, VIPC, Timers, Counters, PLCs, Meters, Switches, Buttons, Dials, Knobs, Relays, Contactors, Heaters, Thermostats, Fuses, Circuit Breakers, Diodes, Bridge Rectifiers, Buzzers, Air Valves, Cylinders, O - Ring Kits, Air Regulators, Blowers, Fans, Insulators, Lamps, Connectors, Tube Sockets, and Arc Suppressors. also NEW & REBUILT OSCILLATOR TUBES ! RF Heat Sealing Equipment. RF Welding Equipment. RF Heat Sealers Parts. RF Heat Welder Parts. RF Sealing. Equipment Tooling & Dies. On-site Installation for your RF Heat Sealing & Welding Equipment. You can count on Sealing Industries for your Radio Frequency Sealing & Radio Frequency Welding Equipment because we have over 40 years of experience in the Plastic Sealing Industry Field for Packaging, Automotive, Medical, Marine, & Industrial Applications.